There are millions of children and families in villages throughout India that are still living in the dark. 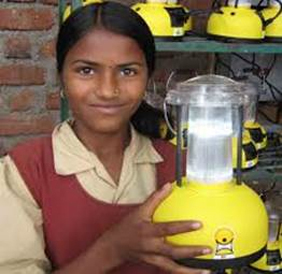 Solar lanterns are a cost effective and efficient way to provide much needed light to meet basic human needs, allowing children to read and learn and women and families to prosper. Join Srinergy in our efforts to make a difference in the lives of hundreds of families across India. “One Solar Lantern at a Time”, one of our social responsibility initiatives, provides funding to purchase solar lanterns and empower women, children and their families to read, learn and prosper.